It’s well established that the quality and conditions of a workplace have a strong impact on the productivity of the workers. It’s the reason that workers who are confined to dangerous and unpleasant environments are paid extra loadings, as in the case of underground mining workers. But what isn’t common knowledge is that most work environments in Australia’s metropolitan areas are subject to many of the same issues, and employees and employers alike are suffering from the effects: workers are subject to myriad unpleasant health complaints, and their decreased productivity and performance is having a devastating impact on the financial wellbeing of our businesses. As a business owner, it’s your legal and moral responsibility to provide your staff with a safe and comfortable work environment. Meeting the basic requirements of health and safety isn’t hard, but it also won’t do much to promote a productive and positive work environment. While Australia’s working conditions are usually reasonable, most business owners aren’t aware of how important it is to take defensive measures against contemporary threats to general health and wellbeing. Human beings aren’t built for being indoors: yet that’s where the vast majority of us find ourselves in almost every hour of the day. While our working spaces have evolved over hundreds and thousands of years from forests and fields to high-rises, our bodies haven’t adapted to being inside—and we’re even identifying new ailments like Sick Building Syndrome (SBS), where workers suffer from coughing and wheezing, headaches, sore eyes, nose and throat problems, and even loss of concentration and nausea. 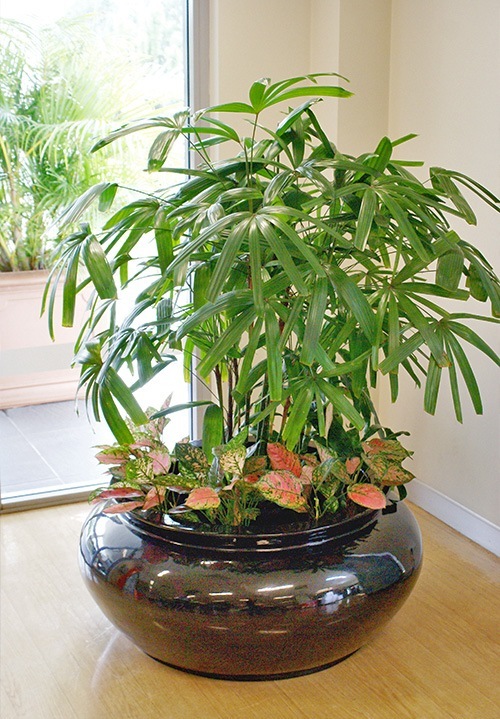 Whether you’re wanting to make a subtle impression and inject some fresh air into your workspace, or you’re looking to make a striking design statement in a high-end residential or commercial interior, professional plant designers can help you create the style you’re looking for. By drawing on their knowledge of both design principles and botany, plant designers can craft stunning plantscapes that both augment the design features of the space, and make use of its environmental conditions. Fatigue can have devastating effects on any business. It significantly reduces the productivity and skill of your workers, slowing your business operations and impacting on your bottom line. But more serious than this is the profound effect it has on the safety of your workers: the Australian Safety and Compensation Council has found that worker fatigue can even lead to potentially dangerous mistakes.